Singapore’s Wilson Lim has won the biggest APPT Manila in history, overcoming a field of 1,364 main event players to claim the title and its Php12.97 million top prize. 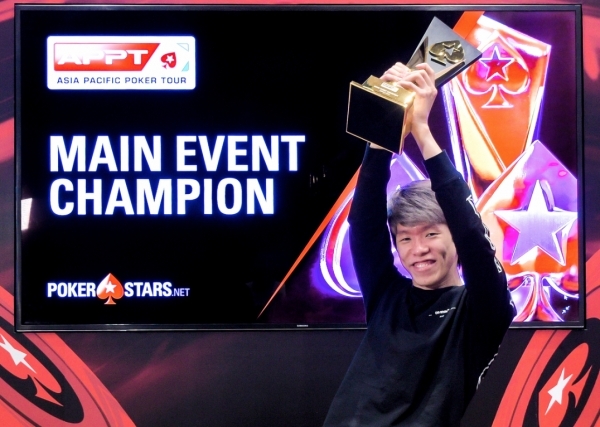 Lim also won a PSPC Platinum Pass, worth US$30,000, to the PokerStars Players Championship in the Bahamas in January. Incredibly, the 29-year-old was down to just a few chips with two tables remaining before staging a miraculous recovery. “I just went all-in blind and then doubled, doubled, doubled up until I ended up as the shortest stack on the final table. Then I became the third chip lead on the table,” Lim recalled after eliminating four of his final table opponents on his way to the title. China’s Yuan Chao Li finished runner-up, taking home Php7.96 million for his efforts. APPT Manila attracted a total of 6,446 players across 22 events, awarding Php176.43 million in prize money.